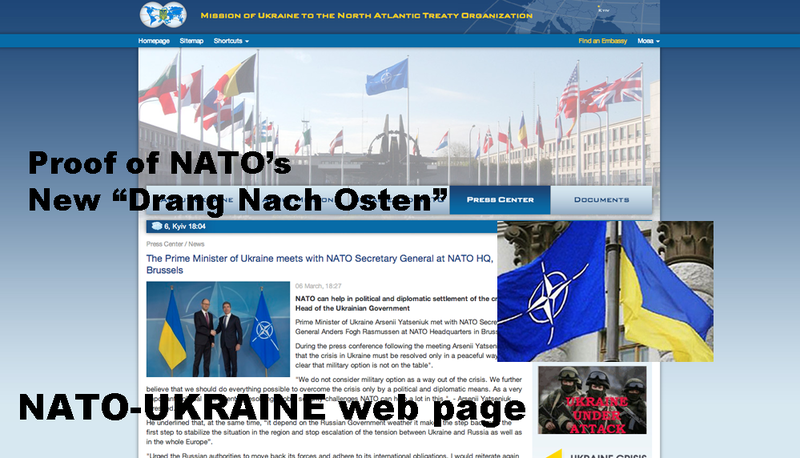 PROOF OF “DRANG NACH OSTEN” THEORY: NATO TO EXPAND TO FORMER SOVIET STATES, SUSPEND COOPERATION WITH RUSSIA – TRUTH IN MEDIA: TRUTH TRUMPS POWER EVERY TIME! What is the worst enemy of US “death merchants” whose motto is “perpetual war for perpetual commerce?” Peace. Which is what NATO’s so-called “Partnership for Peace” with Russia has been for the last two decades – a peace farce, a pacifier intended to keep the Russian Bear hibernating while NATO grows and expands. But war requires enemies. And NATO has been a military solution looking for a problem for the last 25 years. No enemies in sight to justify continued military spending. So what do you do when you run out of enemies? You mint some new ones. You manufacture crises. You create conflicts out of thin air. You sow religious hatred, incite ethnic strife. Which is what Perfidious Washington has been doing ever since the supposed end of the Cold War in 1989 (see WASHINGTON’S CRISIS FACTORY, Mar 1999 and NATO’s “DRANG NACH OSTEN“, Mar 2014). None of that is new to the Truth in Media readers. We have been pointing this out for the last two decades. What’s new in today’s news is the PROOF that this New World Order strategy was indeed the driving force behind the Ukraine crisis. 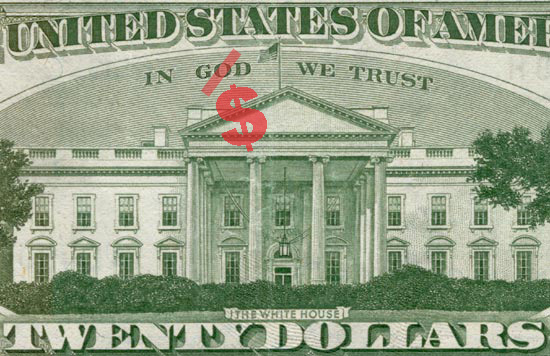 If a society worships money and is driven by greed, you ignore the leaders’ words and follow their actions and money to get to the real truth. 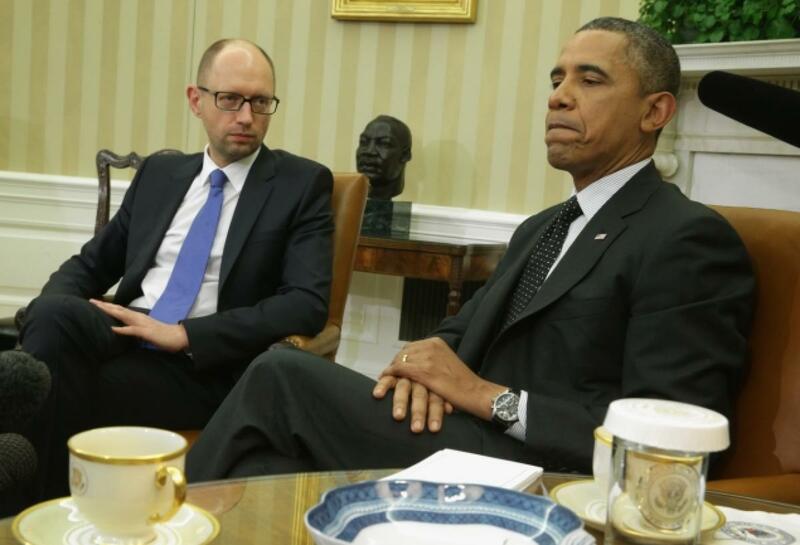 Today, they dropped three other shoes which confirmed that the Ukraine crises was made in Washington, and that it’s goal is to create new markets for US “death merchants.” The new “Drang Nach Osten” strategy was merely means to that end. 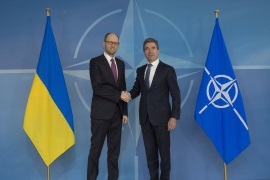 In fact, shortly after installing its puppet as the Ukrainian prime minister following the Feb 21 coup d’etat, Perfidious Washington paraded Arseniy Yatsenyuk in Brussels with Secretary-General Anders Fogh Rasmussen (Mar 6, right photo). 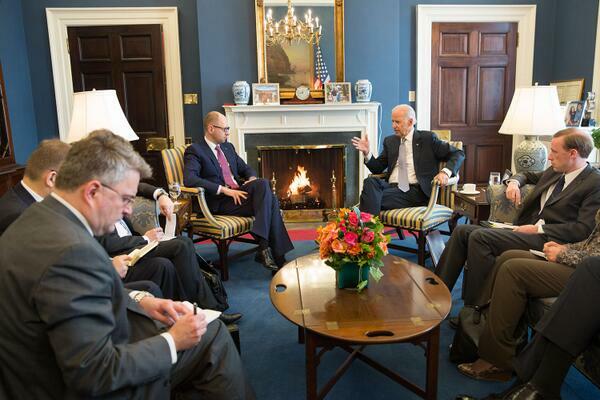 And then they repeated the media show with him in Washington where Yatsenyuk met with Obama and Biden (Mar 12, 13). Immediately upon returning home from Washington, this US/NATO stooge (Arsenyuk) asked NATO to provide military aid to Ukraine (Mar 15). Surprise, surprise… who do you suppose would profit from that aid? The US “death merchants,” of course. 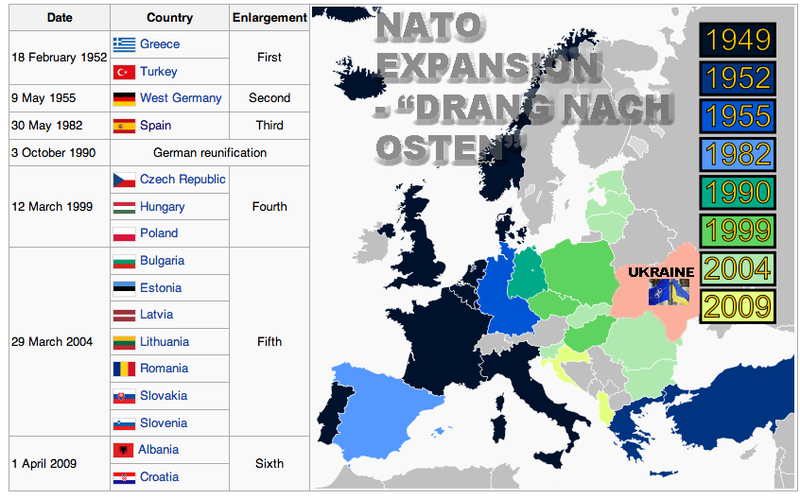 As they did in 1999 and 2004 when NATO expanded to include former Soviet dominions in Eastern Europe. As for Obama, Biden. Kerry and the other Perfidious Washington figureheads, the whole world can now see them for what they are – mere US “death merchant” salesmen. And those of the cabal of other multinational corporations that follow in “death merchants'” footsteps (right image). In a world ruled by money, follow the money. It will lead you to the real truth. Every time. Pingback: NATO’S FIRST MILITARY ACTION IN HISTORY – TRUTH IN MEDIA: TRUTH TRUMPS POWER EVERY TIME!